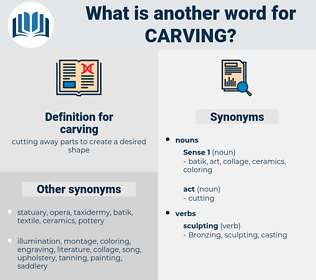 What is another word for carving? 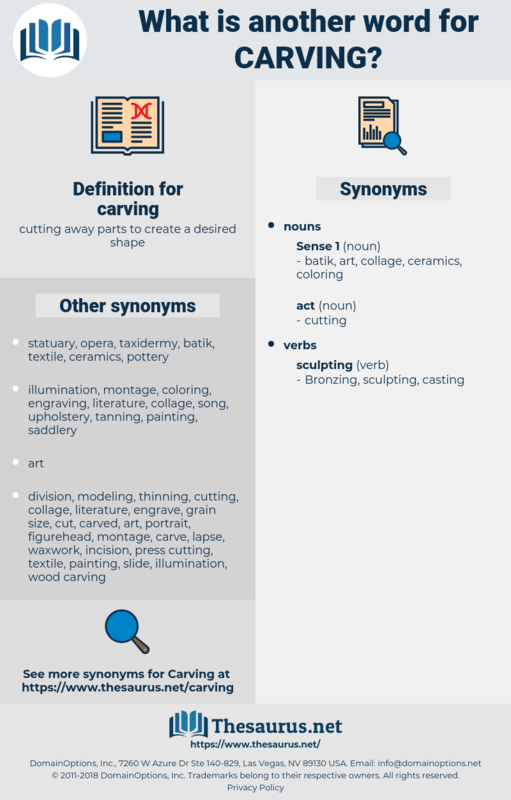 printmaking, tracing, etching, charting, drawing, Outlining, Rabbiting, sized, sizing, trimming, pruning, Plotting, cut, cutting. Little Thief was carving his bride. Mildred was recovering, Oliver ate and slept, and whistled under the window - like a light - hearted boy, as he once again amused himself with carving every piece of hard wood he could find. glyptic art, woodcarving, cinquefoil, scrimshaw, glyptography, vermiculation.